This year, we were invited to attend the Sud de France show in Montpellier. Another chance to visit France? In the south? In the winter? Check, check, check. And wine, of course, how could I forget? The whole experience was professionally organized, with the 250+ of us getting bussed around the clearly-not-made-for-buses streets of Montpellier for 4 days straight. Breakfast, wine, lunch with wine, wine, dinner with wine. Beer. I got an amazing opportunity to explore the wines of the south, namely Languedoc, Rousillon, Province, and the southern tip of Cotes du Rhone. I greatly appreciated the ability to taste wine without producers ahead of one-on-one meetings. One thing I got a chance to understand is the Languedoc region. In Ontario, it is all represented as one large region, with a fairly limited selection. Granted, the region itself had some trouble 20 years ago, but has today made great strides in regaining the quality through cutting down vines, reducing yields, and focusing more on terroir and cepages. I was chatting a bit with the organizers and the French trade people, and suggested that to make the region more accessible in export markets (at least in Ontario), the specific appellations need to be better explained to consumes. Wines from Faugeres and Corbieres are two different wines, and labeling both as generic Languedoc makes it difficult for consumers to understand. I'm excited about the wineries I tasted and people I met, and we are excited to work with them in Ontario. Look forward to upcoming updates detailing the new domains we have added to our portfolio. In case the name doesn't give it away, Albariño is a Spanish-Portuguese grape, particularly popular in the Galicia region of Northern Spain and the Vinho Verde region of Portugal, where it is called Alvarinho and used to produce light and refreshing Vinho Verde wines. Indeed, there's nothing quite like a glass of a chilled Albariño to cool you down in the summer or help you imagine your favourite tropical getaway in the winter. It often has light fruity aromas, with a scent of peach or apricot, much like a French Viognier or a German Gewurztraminer. 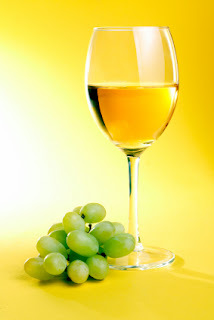 When vinified in Vinho Verde, it is often made slightly sparkling, making it particularly crisp and refreshing. 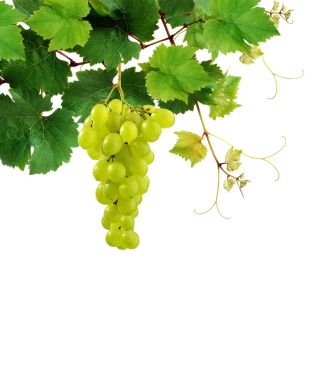 The grape's thick skin makes it well-suited to damp climates and it is largely resistant to fungal diseases. It is often planted in cooler climates in Spain and Portugal, but has also been successfully cultivated in some of the hottest regions of Spain and Australia. While its disease-resistant properties make it attractive to winemakers, it also tends to offer lower yields than more global grapes, such as Chardonnay or Sauvignon Blanc. This means that, although it tends to require less work, it also results in smaller harvests. It is often blended with other grapes, such as Arinto, Treixadura, or Azal, in order to create a more complex flavour profile. Albariño (or Alvarinho) is great when drunk on its own, either near the fireplace or out on the patio, but it can also be successfully paired with light food, such as shellfish, salads, and other seafood dishes. So keep the front door closed, forget the winter blues, and let a glass of Albariño to refresh you today! Flavour Profile: Light, Fruity, Crisp and Refreshing, with aromas of peach, apricot and citrus. Best-Known Regions: Spain (Galicia), Portugal (Vinho Verde). Food Pairings: Light dishes, shellfish, seafood, salads. Cabernet Franc may not enjoy the same global reputation as Cabernet Sauvignon, Merlot, or Pinot Noir, but it sure is a versatile grape. In addition to being blended with better-known reds around the world, it is also vinified on its own in the Loire Valley's Chinon region and used to produce red icewine. 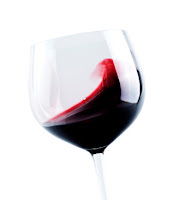 Cabernet Franc tends to make lighter wine than its Cab Sauv. cousin in both colour and flavour. On its own, it produces bright but lightly-colour red wine with peppery aromas. Because of its lightness, most winemakers prefer to blend it with heavier, fuller-bodied grapes, such Merlot and Cabernet Sauvignon in Bordeaux and Italy or Shiraz in Australia. In fact, if you've ever had wine from Bordeaux, chances are you've tried Cabernet Franc, even if you didn't realize it! In addition to being popular in blends, Cabernet Franc can produce beautifully subtle, elegant, and complex wine when vinified and bottled on its own. Cab Franc wines tend to have aromas of pepper, raspberries, blackcurrants, violets and green bell peppers as well as being smooth on the palate and easy drinking. It is therefore perhaps unsurprising that an increasing number of winemakers around the world are bottling unblended Cabernet Franc. Indeed, the grape is becoming increasingly popular in Italy's Friuli and Tuscany regions, as well as Califronia, and Washington State, where it often has a fruity palate. 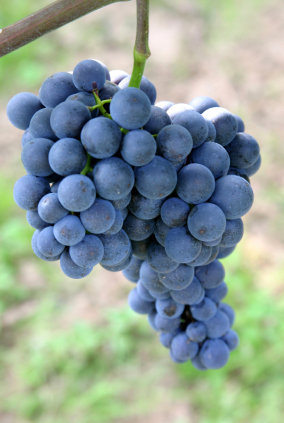 Cabernet Franc grapes are similar to those of the better-known Cabernet Sauvignon, but generally prefer cooler climates. This has helped it thrive in some of the world's colder wine-making regions, such as Ontario, Austria and Germany. It is also often used as an "insurance" grape in Bordeaux by wineries that fear early frosts will damage their harvest, since it is hardier and more likely to survive a cold snap than Cabernet Sauvignon. Cabernet Franc does particularly well in chalky and sandy soils. Because of its light body and colour, Cabernet Franc pairs well with lighter dishes, such as gnocchi, duck, chicken in white or red wine sauce, or the famed British meal: bangers and mash. To quote Maggie Hoffman, we should all be drinking more Cabernet Franc! This grape is amazingly versatile and can be easily paired with everyday foods or drunk on its own. It may be difficult to break away from the Merlots, Cabernet Sauvignons and Shirazes of the world, but we encourage you to give unblended Cabernet Franc a try! A Spanish wine enthusiast once confided to me, "I'm so tired of Tempranillo. Maybe it's different for North Americans, but here in Spain, it's everywhere." Indeed, Tempranillo seems to be the most ubiquitous Spanish grape and, from the southern La Mancha to the northern Ribera del Duero (not to be confused with Duoro in Portugal), there are few places in the country where Tempranillo can't be found. It is the main grape varietal of Rioja, where it is used in the entire gamut of the region's wines, from Joven to Gran Reserva. Tempranillo sold as Joven (young) wine is often fruity and easy to drink, whereas Crianzas, Reservas and Gran Reservas spend progressively more time in barrells (a minimum of 18 months in oak for Gran Reserva wines), making them more tannic and aggressive. As with most grapes, Tempranillo grows best in high altitudes, but the grape's thick skin allows it to thrive in both hot and cool regions. In addition to Spain, Tempranillo can also be found Portugal, where it is often called Tinto Roriz and used for making port as well as regular still wine, Australia, where it is often mixed with Grenache and Shiraz, and even in Southern France, where it can be found in both blends and pure form. Because of the grape's low acidity and low sugar content, most winemakers prefer to blend it with other varietals, although some non-blended Tempranillo wines are available from a large number of regions. 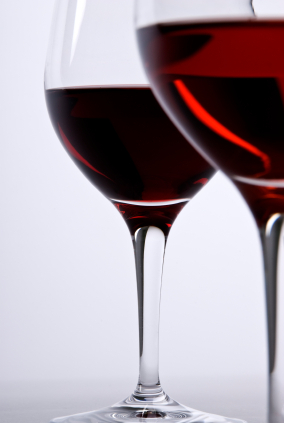 Tempranillo usually has an attractive ruby-red colour, making it a great wine for a romantic occasion. It has aromas of berries, plums, tobacco and even leather. In hotter climates, it is often used to produce 'rustic' wines, which have intense earthy flavours and deep red colours. When put in oak, Tempranillo wines often develop strong tannins and vanilla or spice flavours, particularly if the oak is 'toasted' (heated over an open fire). Young and unoaked Tempranillo wines can be drunk on their own or paired with beef, pork, or even chicken, while older, oaked Temrpanillos are best left for steaks, wild game, lamb or stew. Whether you're serving a formal dinner for twelve or just opening up a bottle to accompany a chilly winter evening, Tempranillo is unlikely to disappoint. Names: Tinta Roriz, Valdepeñas, Tinta Fina, Tinta del Pais. Flavour Profile (Oaked): Earthy, with vanilla and spices and a strong tannins. Flavour Profile (Unoaked): Fruity, with aromas of berries, plums and leather. In the third edition of her Wine Course, Jancis Robinson states that growing Chardonnay is a 'rite of passage' for new wine-making countries entering the international market. Indeed, there aren't many places where Chardonnay isn't grown. From France to Chile to New Zealand to Australia, this grape is as ubiquitous as white wine gets. Perhaps owing to its popularity, Chardonnay has dozens of lesser-known (and less pronounceable) names, including Aubaine in Burgundy, Obaideh in Lebanon and Klevanjka Biela in Croatia. However, it seems that few winemakers today are unaware of the straightforward global appeal of Chardonnay, as almost all Chardonnay wines are labeled as such, regardless of their country of origin. Chardonnay is much easier to grow than the grape we looked at last week, Pinot Noir, although spring frosts can also be a problem for those seeking to have a good harvest of Chardonnay. The grape also has what wine-makers refer to as "malleability". This means that the wine produced by the grape will change significantly due to local conditions, such as soil, climate, sun exposure, and terroir (really just a fancy French way of referring to the geography, climate, and geology of a particular region). Much of the work related to growing Chardonnay comes down to good old-fashioned pruning, as Chardonnay leaves tend to grow overly large if left to their own devices, thereby sucking up nutrients from the valuable fruit, so wine-makers must carefully monitor the leaf sizes to ensure a plentiful harvest. 'Traditional' Chardonnay (if there is such a thing) comes largely from Burgundy, and it continues to be the top wine grape in the region, particularly in the appelation of Chablis, where it is the only grape permitted if winemakers wish to label their wines with the prestigious 'AOC Chablis' label. These Chardonnays tend to be well-structured with a hint of minerality in both taste and smell. 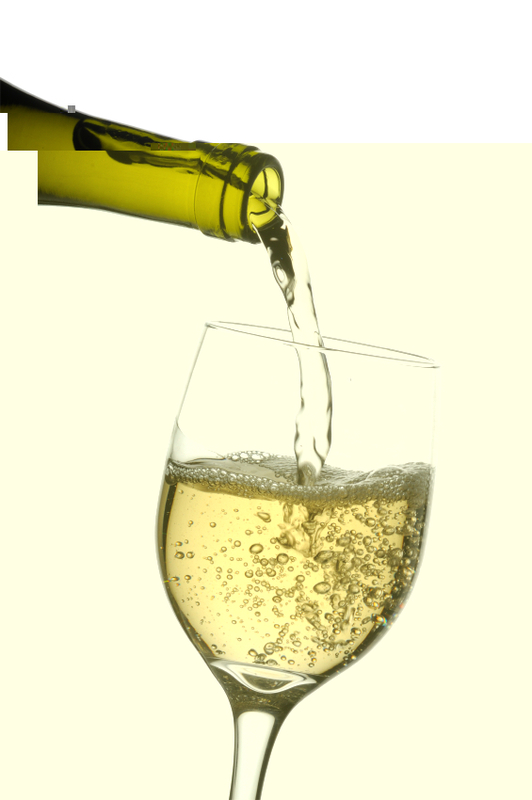 But today, Chardonnay is perhaps best known for producing heavily oaked wines from California and Australia. These wines tend to be intense in aromas and flavours, usually with a strong presence of vanilla, and are often golden-yellow in color. The rift between French and Californian Chardonnays has led many winemakers to label their Chardonnays as 'Oaked' or 'Unoaked', depending on which style of wine they produce. Chardonnay is also produced in the Champagne region, where it is either blended with other grapes, such as Pinot Noir and Pinot Meunier, or used on its own to produce the crisp, smooth and elegant blanc de blancs champagnes. 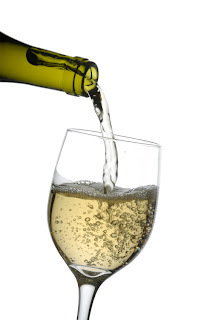 Unoaked Chardonnays pair well with lighter fare, such as scallops, non-cream soups, and pork. Oaked Chards, on the other hand, can be paired with heartier foods, such as salmon with cream sauce, chicken Dijon, and grilled vegetables. Whether you prefer your Chardonnay oaked or unoaked, you can enjoy knowing that the wine you're sipping is made from one of the most successful grapes in wine-making history. Names: Chardonnay, Aubain, Beaunois, Gamay Blanc, Melon Blanc, Obaideh, Klevanjka Biela, and many, many more. Fl!vour Profile (oaked): Vanilla, spices, possibly notes of oak on the nose. Buttery flavour and long finish. Flavour Profile (Unoaked): Minerality, floral and citrus notes on the nose, elegant and crisp flavours. Best-Known Regions: Burgundy, California, Australia. Food Pairings: Soup, salad, chicken, seafood, pork.